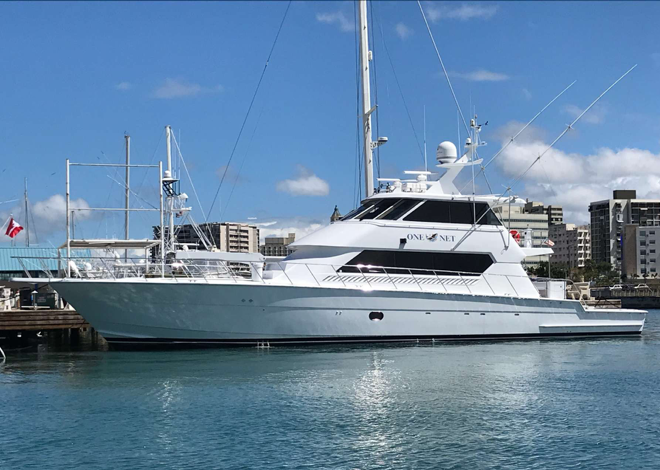 Luxurious 162 Foot Christensen Yacht built in 2011 available for Caribbean charters in winter 2018/2019. 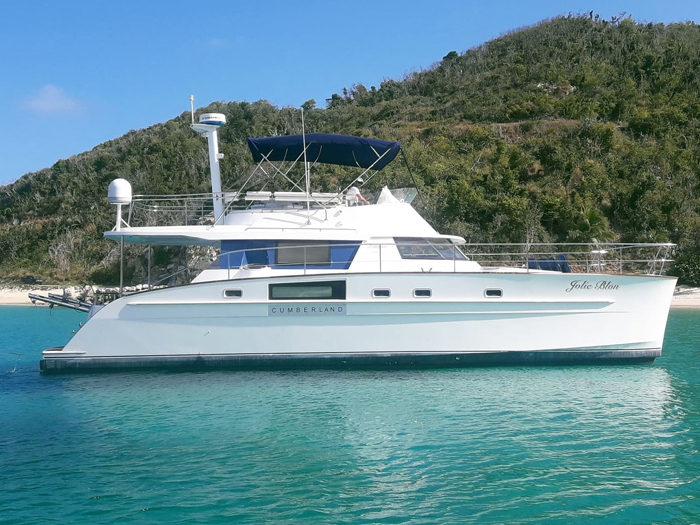 Charter up to 12 guests with 6 private cabins and a crew of 11 including an onboard massage therapist. 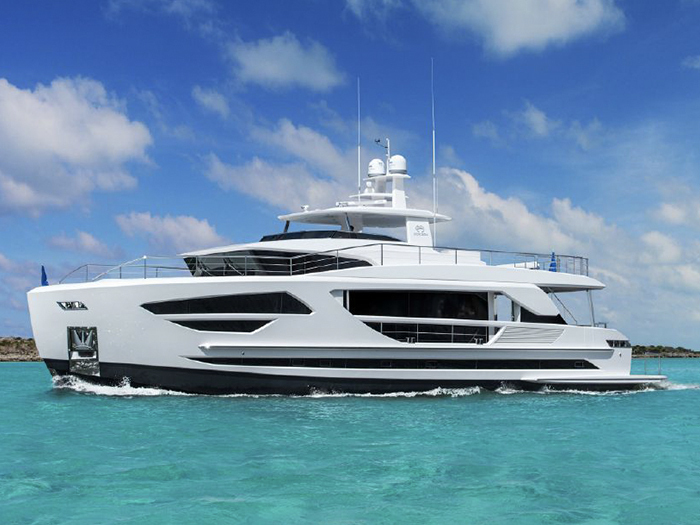 An oversized Jacuzzi on the Sundeck can accommodate up to 10 guests. Hendré (aka Hennie) was born and raised in Cape Town South Africa, joining the yachting industry immediately after completing his education in 1999. As the son of a yacht builder and brother of a Chief Engineer, Hendré has a ﬁrm connection to the water and with a cousin also in the industry, you could say it’s in his blood. He became a captain at the age of 26 on board 157ft Christensen Nice n Easy. Hendré has been at the helm of Remember When since its launch in June 2010, overseeing the build and the maiden voyage from the Columbia River in the Paciﬁc North West, down the West Coast, Central America, through the Panama Canal and San Blass Islands back to our home port in Florida, and has successfully managed the vessel and crew since. He has traveled independently through the U.S., South America, Central America, Southern Africa, and Australia while pursuing his interests of returning to nature, camping, backpacking/traveling, motorcycle adventuring and cooking out. He enjoys all water sports especially paddle board surﬁng and scurf boarding. He plans to complete a power paragliding license in the near future. Growing up on a farm and attending Agricultural school drove Hendré to build and run his very own hobby farm, overlooking Table Mountain outside of Cape Town in South Africa. Highly regarded by his peers and loved by his crew, Hendré is an integral part of the dynamics of the vessel, and its smooth operation as displayed by his impressive tenure. Devyn was born in Pretoria, South Africa. At the age of three his parents moved to Cape Town, known for its beautiful beaches and impressive backdrop of wineries. He got his start in the yachting industry in 2002 and now has 16 years of experience on various vessels between 50m – 74m, some of which have circumnavigated the globe. 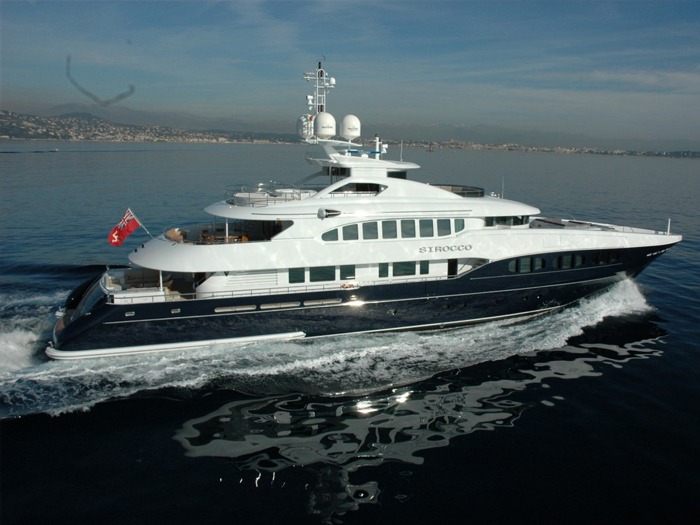 He has been first officer for the past 7 years on motor yachts Dragon-Fly and Majestic. Devyn has been fortunate enough to dive some of the most pristine sites around the world including the Maldives, the Red Sea, the Caribbean, Europe and the San Blas Islands. Devyn enjoys art, sky diving, diving, rugby, music and keeping fit. Travis was born in Coffs Harbor on the North Coast of New South Wales Australia. However, he was raised in Papua New Guinea (where his parents still live) from the age of 6 years old. Travis spent his weekends sports fishing and diving and competing in fishing competitions at a National Level. He attended high school in Brisbane Australia. There he represented his school in Rugby Union internationally, touring Europe, America, New Zealand and the United Kingdom. After completing high school Travis went on to become an occupational level 3 commercial diver. This included doing underwater construction and salvage work in North Queensland. He joined the yachting industry in 2003 as a fishing guide and worked his way up the ranks to his current role as Chief Engineer. Travis has crossed the Atlantic and Pacific Oceans and worked multiple contracts in Asian waters. He enjoys spear fishing, cars, skateboarding and snowboarding. New Guinea, and Australia. The importance of keeping her mind stimulated by training and learning different styles of cuisines is paramount to looking after both guests and crew which is why she trained in Thai cuisine, Cajun creole, (New Orleans), authentic Indian Cuisine from the Seychelles, West Indian and Sri Lanka. Her interests are diving, music/ guitar, cycling, and reading. She loves learning, good food and good friends. Bianca was born in South Africa but was raised in Mozambique from an early age. She spent her younger schooling years at a Portuguese school in Mozambique where her parents owned and operated a resort and Bianca’s mother ran a diving operation. This has given Bianca exposure to many adventures in and around the water from an early age, completing her dive tickets with her mother as an instructor. Her high school years were spent at a boarding school in South Africa. Bianca speaks English, Portuguese and Afrikaans. Bianca has always loved traveling but decided after school to pursue her creative talent and undertake further studies in Interior Decorating. It was here where her ﬂare and love for interior colors, fabrics and ﬁnishes became apparent and she was introduced to some of the world’s most lavish textiles. A call to the world of yachting followed and Bianca thoroughly enjoys bringing new and creative themes to the table, setting for ﬁne-dining experiences and producing all-round 5-star service for guests a board Remember When. Justin was born in Durban, South Africa which is also known as a beginner surfer’s paradise with its warm water and mild weather conditions year round. From a young age he enjoyed an array of water and motor sports where he became accustomed to working with his hands. Once he had finished high school, Justin went on to study business management and proceeded to work for his father in the family textile business for three years. After much contemplation Justin decided to pursue his dream of becoming an Engineer and this led him to join the yachting industry in 2017. 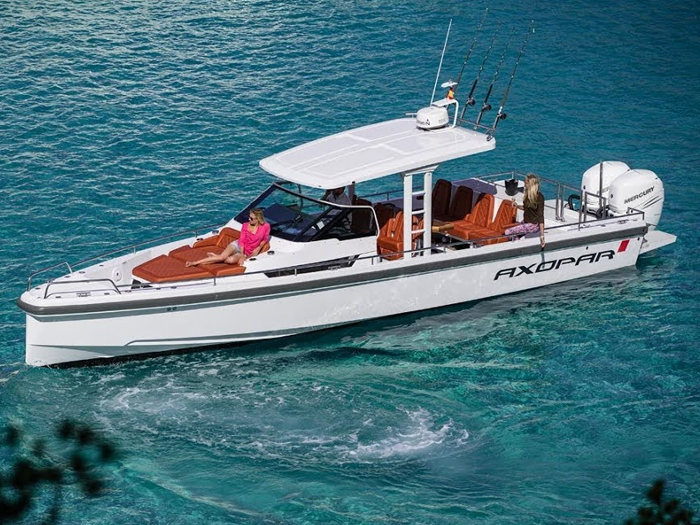 In his spare time Justin enjoys diving, wakeboarding, surf skiing and he is very passionate about pelagic sport fishing. Rachel grew up in in the beautiful city of London and studied spatial design at a local university. Rachel had always been motivated to travel the world, so once she completed her studies she moved to France. She lived in the Alps for a few years and enjoyed meeting people from all around the world. While in France, Rachel discovered the yachting industry and soon started as a stewardess. Rachel wanted to provide more than just good service onboard luxury yachts, which led her to find her calling as a massage therapist. Rachel specializes in Swedish and deep tissue massage. In her spare time Rachel enjoys wakeboarding, snowboarding and skiing. Christina has traveled extensively throughout Europe experiencing different cultures while working at sea. Christina loves being active and plays basketball, water polo, swimming and she enjoys a variety of outdoor activities. events. Naomi then completed her Beauty Therapy diploma specializing in treatments such as Swedish Aromatherapy, Aroma Stones Massage, Body Wraps and Scrubs as well as advanced skin facials. She has worked at a five-star day spa in the Whitsunday Islands on the Great Barrier Reef, Daydream and Hamilton Island. Since joining Remember When she has combined her love of traveling with her outstanding ability to make people feel relaxed and pampered. Naomi enjoys tubing, skiing, volleyball, netball and dancing.